What can I do with the particle layer? With the particle layer you can render effects like fire, smoke, stars, sparkles and flares. How do I create a particle layer? Choose LAYER > Add layer > Add particle layer... to create a new particle layer. Choose LAYER > Attach layer > Attach particle to active layer... to attach a new particle layer to the active layer. The new particle layer can be selected from the layers dropdown to make it the active layer. The installer comes with shows demonstrating the possibilities of the particle layer. Choose FILE > Open show... and select a show from the BluffTitler/Media/Shows/Particle folder. 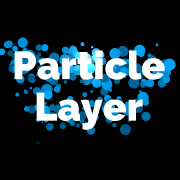 When you create a particle layer by choosing LAYER > Attach layer > Attach particle to active layer..., the particles are emitted (launched) from the surface of the active layer. In this example, the particles are attached to a text layer. The NotLightenedAdditive effect makes them blend into each other (choose MEDIA > Change effect...). When you create a particle layer by choosing LAYER > Add layer > Add particle layer..., the particles are independent and the launch position is set with the Launch position property. Use the Launch area property to define a bigger area. In this example the Launch area is set to (100,100,100). With the Gravity property you can set the direction and size of the gravitational force. To make them fall downwards you set this property to something like (0,-100,0). With the Floor level property you can set the vertical position of the plane the particles bounce off. The Bouncing property controls the amount of bouncing. Particles also bounce off a mirror layer. By attaching your particles to a picture layer and setting the Chameleon property to 1, the particles take over the colour of the picture. It can take a few simulation steps before the particles fill the screen. To prevent this initialization time to appear in your exported video when using a playlist or server rendering, you can use the Pre-export simulation time option int the FILE > Show properties... dialog. When the Launch plane size property is bigger than 0, the particles are only emitted from this launch plane. You set the position and rotation of the launch plane with the Launch plane position and Launch plane rotation properties. When you apply the Effects/Special/Clip effect to the layer the particles are attached to and animate the FX Clip plane and Launch plane properties you can create nice dissolve effects. 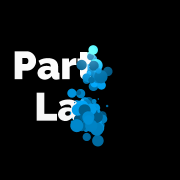 To learn more, take a look at the particle shows that come with the installer. 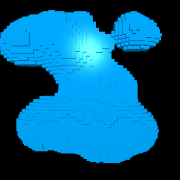 When the Target layer property is bigger than 0, the particles fly to this layer. Take a look at the Layers dropdown to find the index of the target layer. You can set the flight speed with the Launch speed property. When you prevent new particles from being emitted (by setting both sliders of the Min/Max particles property to the same value) you can move them around by animating the Target layer property. Particles are rendered as 2D rectangular billboards. 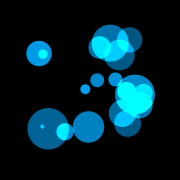 Particles are rendered as 2D circle shaped billboards. This mode is very effective when using the Effects/Special/Masked effect. 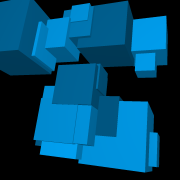 Particles are rendered as cubes. 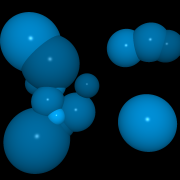 Particles are rendered as spheres. 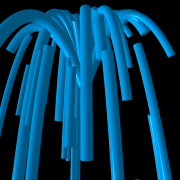 The path of the particles is rendered as a bended pipe. Use the Trail length property to set the pipe length. Particles are rendered as blocks. 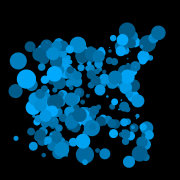 The particles are rendered as 3D intermingling, blending blobs (metaballs). 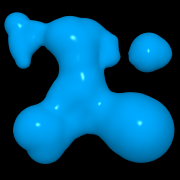 The blobs are rendered with the marching cubes algorithm. 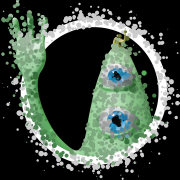 Every particle is a 3D model. In this mode, the particle is not rotated. 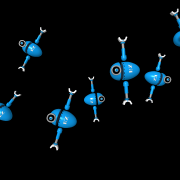 In this mode, the particle rotation depends on its flight direction. In this mode all particles have a random rotation. This is the position where the particles are being emitted. The shape and size of the launch platform. (100,0,0) The particles are emitted from a random point on a horizontal line. (0,100,0) The particles are emitted from a random point on a vertical line. (100,100,0) The particles are emitted from a random point on a plane. (100,100,100) They are emitted from a random point in a box. Press <F2> to visualize this property. The launch direction in angles (heading, pitch, roll). The initial speed. Note that you can reverse the launch direction by using a negative speed. The speed of time. The neutral value is 1. A value higher than 1 makes the time run faster. A value lower than 1 makes the time run slower. 0 makes the time stand still. This is the maximum deviation from the launch direction (heading, pitch, roll). (0,0,0) The launch direction is always the same. (10,0,0) The heading of the launch direction has a maximum deviation of 10 degrees. (0,180,0) The pitch of the launch direction has a maximum deviation of 180 degrees. (180,180,180) The launch direction is completely random. The number of particles emitted per second. The 1st slider controls the minimum number of particles and the 2nd the maximum. When they are set to the same value and you set the Maximum age property to a very high value, the number of particles is constant and no new particles are emitted. The direction and size of the gravity field (horizontal, vertical, depth). (0,0,0) There is no gravity, the particles maintain their launch speed and direction. (0,-30,0) The particles fall to the ground. (10,0,0) There's a soft wind to the right. (60,0,0) There's a strong wind to the right. The maximum age of the particles in seconds. Just like humans, particles grow and shrink during their life. With the 1st slider you can set the size of the particles in the middle of their life. The 2nd slider controls the size at the start and the third at the end of the particle's life. This property scales the whole effect. All particles have a random colour in between these two colours. Press <F3> for the standard colour dialog. This determines the transparency level of the particles. 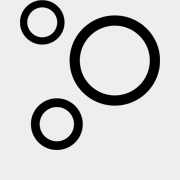 0 is completely opaque, 1 is completely transparent. If the particle layer is attached to another layer, the transparency of this layer is added to the transparency of the particle layer. This property allows you to mix the colours of the particles (as set with the 1st and 2nd colour properties) with the colours of the parent or target layer. When using a positive value, the colours are mixed with those of the parent layer. When using a negative value, the colours are mixed with those of the target layer, as set with the Target layer property. If the Launch colour tolerance property is less than 1, particles are only launched from points that match the launch colour, as set with the Launch colour property. If the tolerance is less than zero, particles are only launched from points that do NOT match the launch colour. 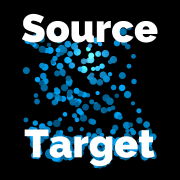 If a target layer is used as set with the Target layer property, this is also used for the target points. If the Launch normal tolerance property is less than 1, particles are only launched from points that match the normal, as set with the Launch normal property. If the tolerance is less than zero, particles are only launched from points that do NOT match the launch normal. The rotation of the particle (heading, pitch, roll). When using a 3D model to render the particles, this is an offset because the particle models are always pointing towards their fly direction. The rotation speed of the particles (heading, pitch, roll). For the 2D particles you might only want to use the roll (the 3rd slider). 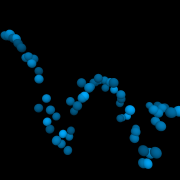 The length of the trail in particles. Note that a big trail slows down the framerate considerably. This value determines the distance between the particles in the trail. A high density means a smaller distance. When this property is not zero, the particles are placed on a grid. New particles must have this minimum distance to all existing particles. This prevents collisions. The variation in particle size, trail length and maximum age. When this property is set to 0 all particles have the exact same size, trail length and maximum age. This property adds some chaos to the flight path of the particles. This property is used when the Launch plane size property is greater than 0. The particles are only emitted from this plane. The launch plane rotation in angles (heading, pitch, roll). This controls the thickness of the launch plane. Set this property to -1 to turn off the launch plane. This is the vertical position of the floor. Particles are bounced off this floor. The particles also bounce off mirror layers. This property controls what happens if a particle hits a mirror layer or the floor as set with the Floor level property or a mirror layer. If this property is bigger than 0, the particles fly to this layer. Take a look at the Layers dropdown to find the index of the target layer. You can set the flight speed with the Launch speed property. With the Depth bias property you can move the particles a bit closer to or further away from the camera. 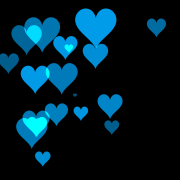 For example when attaching sparkles to a text layer, you want all the particles to be rendered in front of the text. You can do this with a negative Depth bias. But when attaching a glow effect you want all the particles to be rendered behind the text. You can achieve this by using a positve Depth bias.